Carole P. Roman is giving one lucky reader the opportunity to pick a country for an upcoming book. Plus, the winner will be receiving signed copies of all the books in the series and will receive the new book as soon as it is released. But wait… there’s more! 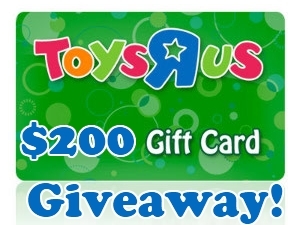 A second winner will receive a $200 (USD) Toys R Us gift card or paypal cash! Enter to win via the Rafflecopter entry form below. Good luck! Award winning author Carole P. Roman is a former teacher turned businesswoman. She has successfully run a family business with her husband that employs close to five hundred people. Her most favorite job is being grandmother to her many grandchildren. Roman has two wonderful sons and hit the jackpot in the daughter-in-law department. She currently lives on Long Island with her husband. Her first book, Captain No Beard: An Imaginary Tale of a Pirate’s Life has been named to Kirkus Reviews’ Best of 2012 as well garnered the star of remarkable merit. Captain No Beard has developed into a series of 3 more books. Her next project is the book series I Want To Do Yoga Too. She is currently working on a new educational series that explores different cultures from a child’s point of view. Carole has included Mexico, France and South Korea in the series. Turkey and Norway are coming soon! 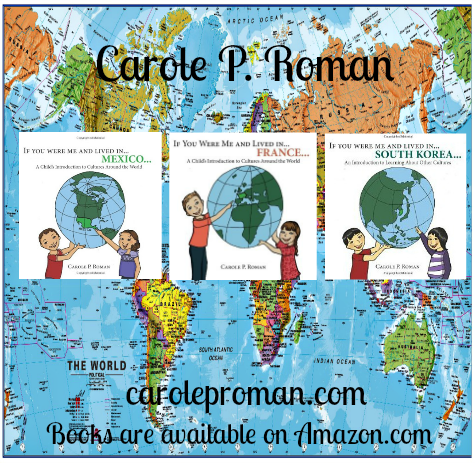 Carole P. Roman would love the opportunity to have one lucky reader pick a country for an upcoming book. In addition, the winner will get signed copies of all the books in the series and will receive the new book as soon as it is released. A second winner will win a $200 (USD) Toys R Us gift card or paypal cash. Ends at 11:59pm EST on August 25th, 2013. Oh how I would love to win signed copies of Carole P. Romans books to read to my 3 grandchildren and I also sure could use the $200.00 cash to help me play Santa to my little angels.. I liked and shared this on my fb in hopes of winning!!! !